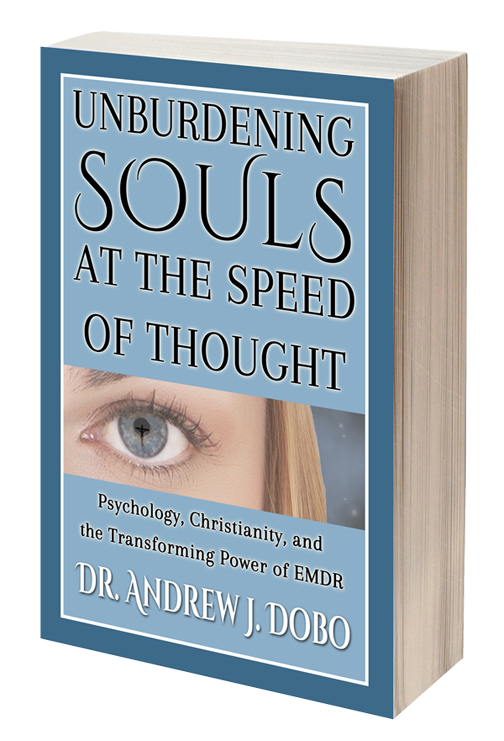 In the new book Unburdening Souls at the Speed of Thought: Psychology, Christianity, and the Transforming Power of EMDR, psychologist Dr. Andrew J. Dobo writes about the transformative journey to wholeness that was modeled by Christ and is accelerated by a ground-breaking therapy known as EMDR (Eye Movement Desensitization and Reprocessing). The process described in Dr. Dobo’s book occurs in six stages, mirrored by six moments Christ modeled in his Passion. Psychology and religion overlap in the book’s incredible tales, which move from despair to hope, hate to love, and fear to contentment. The book offers hope to those suffering mental anguish as they are exposed to a new map of the soul modeled by Christ and shared by psychology. It shows how survivors of trauma can heal and overcome negative beliefs about themselves. It’s for those who want to better understand the workings of the soul and for those who do not even imagine such a thing exists. And it will fascinate any reader interested in the power of the mind. Dr. Dobo wrote the book for many reasons, one of which was to dispel the idea that therapy is for weak people. “It takes incredible courage to look within and realize you must change,” he says. In addition, Dr. Dobo wants people to know that EMDR can heal almost any emotional wound, including a loss as horrific as the death of a child. Clients do not have to be religious to appreciate Dr. Dobo's exploration of EMDR and its stages of transformation. "The six stages can be explained from a secular view or a religious one," he says. "I usually use the secular view in my office. But if someone is Christian and I share that view, they are ready to start and feel the sacredness of the journey." A licensed psychologist, Dr. Dobo has treated hundreds of patients and participated in literally thousands of EMDR sessions in his private psychology practice in Sebastian, Florida. A Pennsylvania native, he lives in Melbourne, Florida, with his wife, Jo. Dr. Dobo will appear at a book signing 5:30-7:30 p.m. on Friday, Oct. 9, at the Center for Spiritual Care, 1550 24th St., in Vero Beach, Florida. 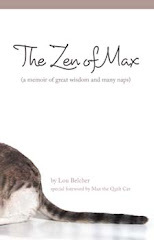 He’ll also discuss the book with bestselling author Laurie Beth Jones on her radio show at 9 a.m. Sept. 28 at http://www.blogtalkradio.com/laurie-beth-jones. Unburdening Souls at the Speed of Thought is available in paperback and in various e-book formats at major online retailers, including Amazon and Barnes and Noble. A hardback edition and more information can be found at http://www.AndrewDobo.com.